The MoonMachine Black edition is part of what we call our ‘Performance Art’ pieces: to create Performance Art, we invite an external designer to offer his remix of one of our pieces. For this MoonMachine, the raw material was our HM3 Frog – and the invited artist was Stepan Sarpaneva. 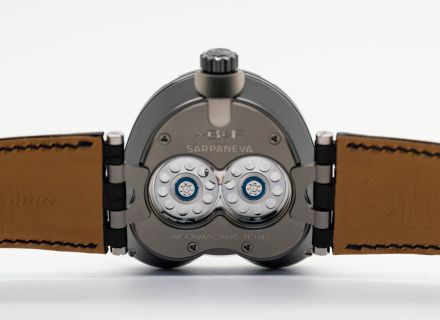 Stepan is an extremely talented watchmaker; he started his career in Switzerland working with some of the most famous names in our industry. 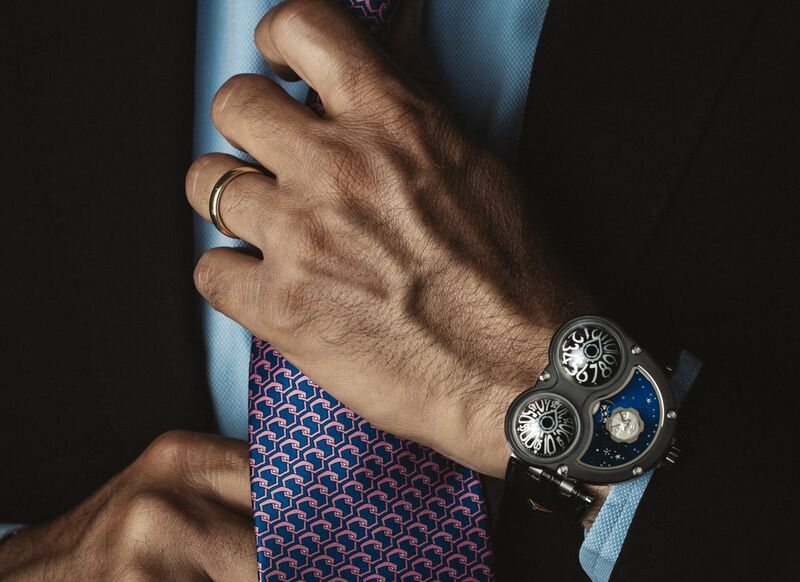 He then moved back to his native Finland to start his own brand – and he combines his watchmaking skills with a very strong sense of design. His trademark is his focus on the moon phase complication – with a distinctive moon face, modelled after his own. 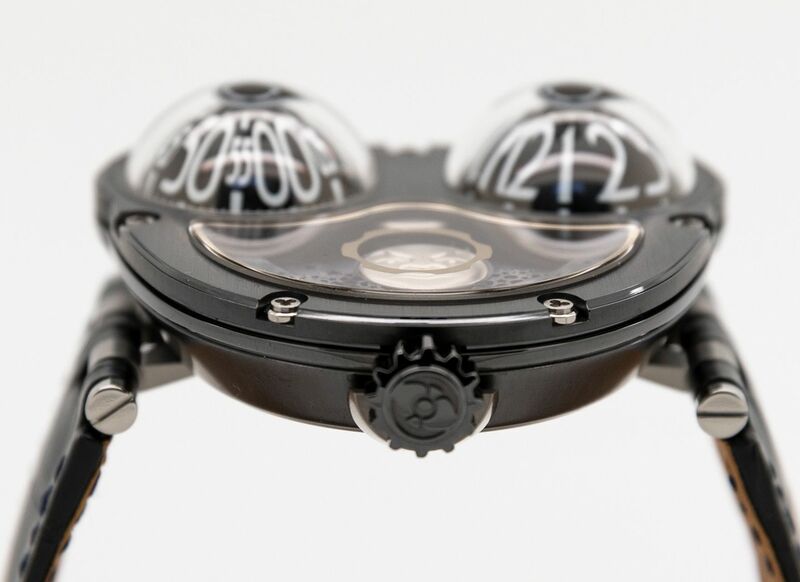 To create the MoonMachine, Stepan first rotated our HM3 Frog by 90 degrees. 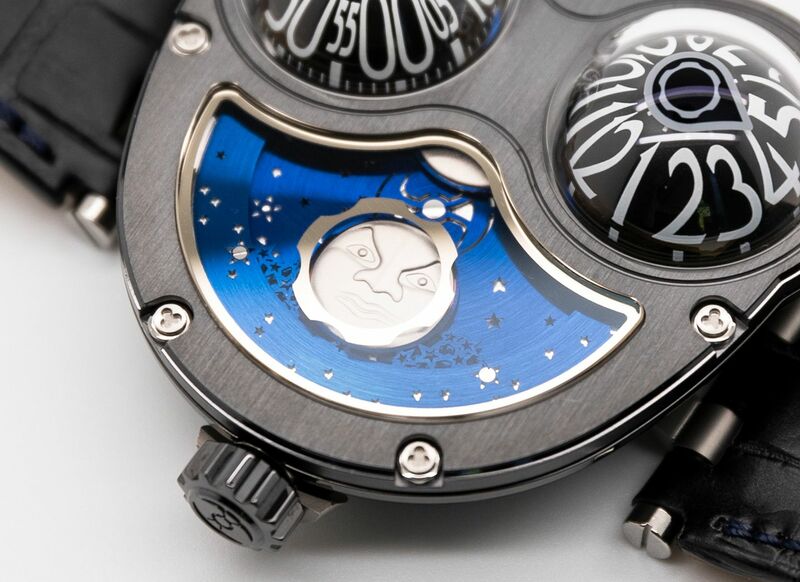 Second, he integrated his favourite complication: a moon phase indicator. Finally, he injected his design elements: his unmistakable moon-face, a Northern sky (which is actually the winding rotor), and his signature “korona” shape which indicates the moon phase. 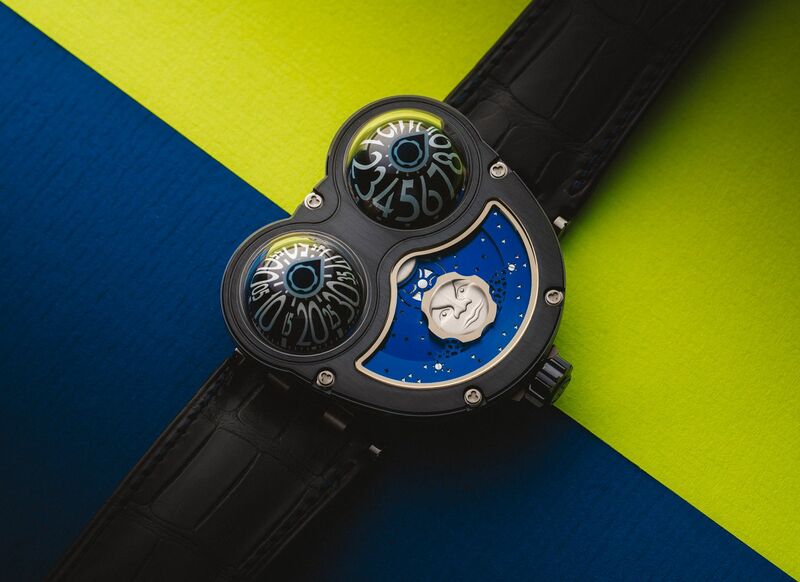 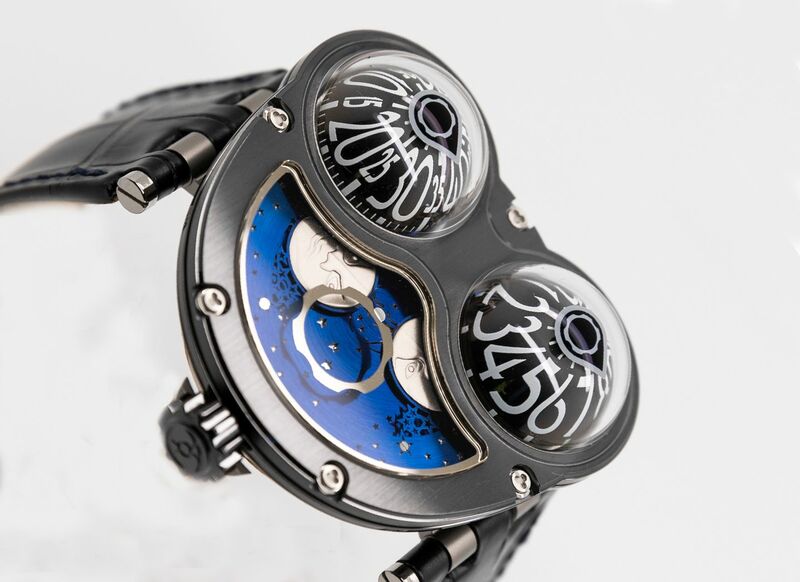 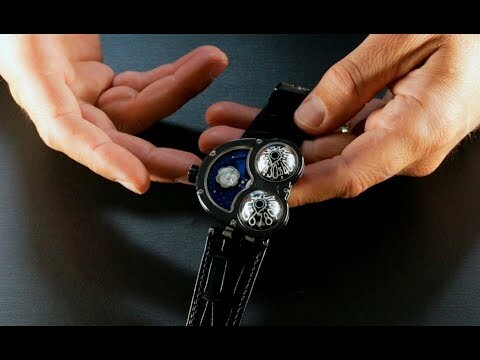 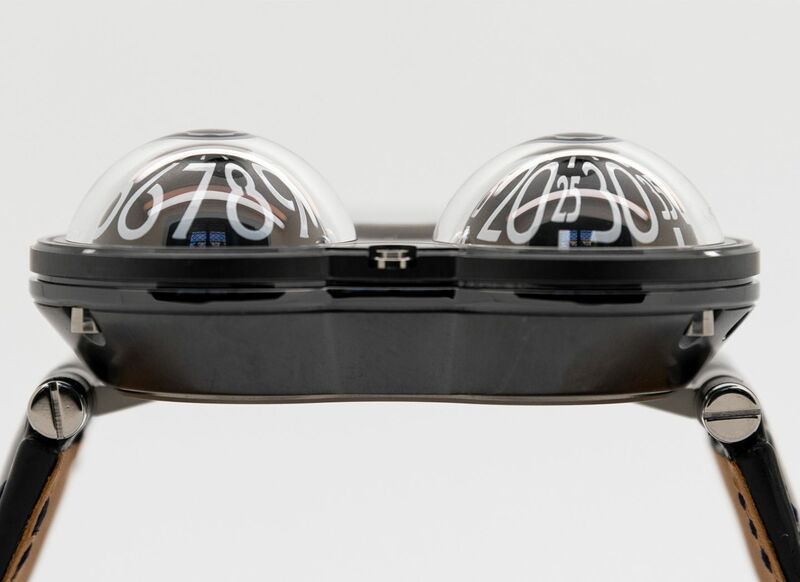 MoonMachine is a perfect example of Performance Art: it is totally MB&F but also totally Sarpaneva. 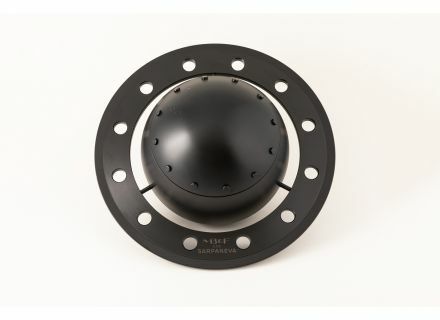 This Black edition with dark blue sky was limited to only 18 pieces. 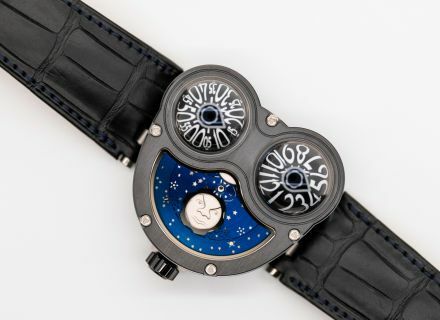 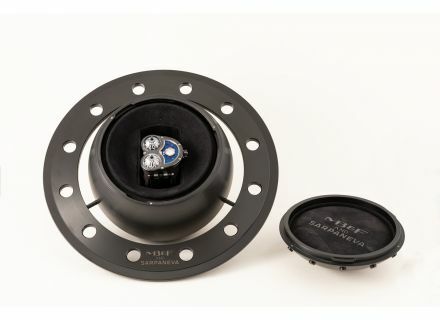 Moon phase displayed by dual moons rotating under a Korona ring, adjustable with a corrector.